This blog, normally regularly updated, has always kept you posted with the latest and responded to your queries well in time and systematically. Due to travel and time restriction, I have not been able to devote my attention towards timely updates of Vagaries in the last 7 days. Apologise for the same and hope to keep readers well informed and up-to-date with the latest. The Low pressure over Gangetic Bengal is persisting and bringing showers to the surrounding Eastern States of India. Odisha received heavy pounding as on 4th Morning. Deogaon-218mm ,Jamadarpalli-196mm ,Lahunipara-183mm ,Chandanpur-173mm ,Padmapur-170mm ,Patnagarh-160mm ,Burla-156mm ,Sambalpur -150mm ,Binika-128mm ,Hirakud-121mm ,Bangiriposh-112mm ,Belgon-111mm ,Bolangir-104mm ,Sonepur-100mm (Amounts from Mitan). Rains may decrease in Odisha from Monday. Low Pressure will prevail on Monday in the Bengal region and move North into Bengal State on Tuesday.This may merge in the Monsoon Axis, now close to Himalayas, by Wednesday. Forecast: Heavy rains on Monday and Tuesday in Bengal, Jharkhand and Bihar, and adjoining Eastern Nepal.Isolated heavy showers may continue for another 2 days along the East Coastal regions due to the extended off shore trough from the Low.Decreasing rainfall in Odisha. 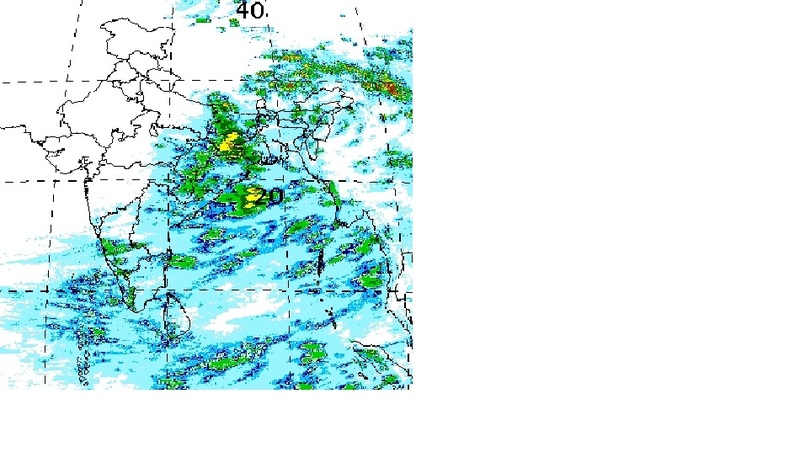 Next 3 days, Light showers likely in Konkan and Maharashtra Ghat stations (1-3 cms)..No meaningful rains elsewhere. Due to persisting Seasonal Low in the West Rajashthan/ Sindh region, and non occurrence of the Anti Cyclone in the region (due to the Seasonal formation), the withdrawal of the South West Monsoon cannot be announced. Though the 200 level jet streams have started showing favourable signs for withdrawal, I would wait to announce withdrawal from Central Sindh /West Rajasthan till another 4/5 days at least. Mumbai: Next 3 days will see partly cloudy skies, with few passing showers in parts of city. Showers will not be persisting. Daily around 5-10 mms of rain. Pune: Partly cloudy, but getting warm in the day. Clearing by night, will slight fall in night temperatures by 2c. Kolkata: Intermittent showers and chances of a few heavy showers in some parts. Around 20 mms /day. Cumulative rainfall all over country as a whole till 05.09.2016 is 725.9 MM against Normal 749.2 MM indicating 3.2% departure from it on a negative side. First 5 days of September is giving 3.6 % departure from Normal on a negative side.